Do you want your web pages to get better rankings this year? Well, tell you what, it’s hard but it is by no means impossible. With the right search engine optimization strategy, you can generate tremendous traffic to your blog or online shop and start making the income you’ve always wanted. It all begins with a solid keyword research, which is the foundation of every successful SEO campaign. 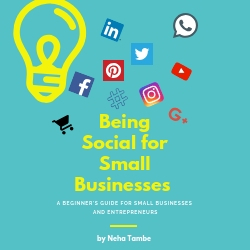 I’ve put together a guide that is perfect for business owners, bloggers, and marketing professionals that is very practical and takes less time to do. In this guide, I will only discuss the basic strategies to set you up for online marketing success. Before we even talk about the nitty gritty of keyword research, let’s first answer the question “Why?” As in, why should small business owners take the time to do keyword research. Let’s face it, one of the struggles small business owners have to contend with is the fact that their marketing budgets aren’t as deep. And it’s exactly because of this that they need to be very strategic with how they spend their resources. Doing proper keyword research sets them up for just that. Uncovering the right keywords to target can help small business owners create a marketing campaign that targets a specific audience — one that has a high likelihood of buying, and one that their competitors haven’t reached yet. With these two elements in place, the small business owners have a better chance of getting returns out of the money they invest in their marketing campaigns. Now that we pretty much have a clearer grasp of why small business owners should definitely do keyword research, let’s talk about the actual steps of doing keyword research. Step 1: Find relevant keywords using a reliable keyword tool. What do people type in when they’re looking for your products and services? 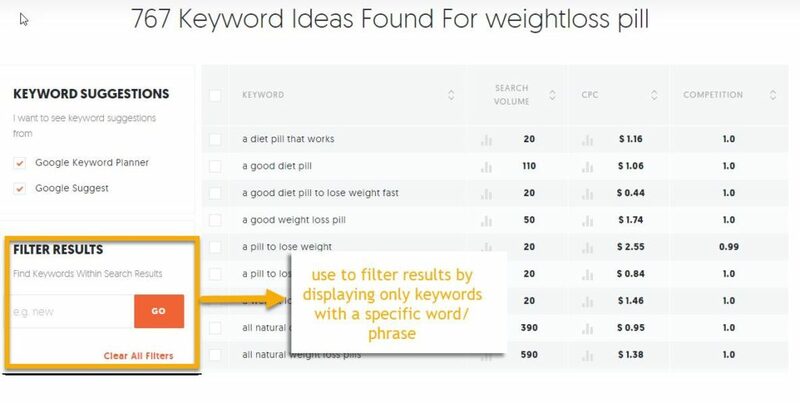 I you use a keyword tool, you’ll discover the terms and phrases that people search for online to find things they need. Now, you might have heard of various keyword tools like Google Planner, SEMRush, or Majestic SEO. While these tools provides comprehensive data, they can be quite intimidating and time-consuming for beginners. What I suggest and what I’ll teach you to use is UberSuggest. It’s probably the easiest keyword tool out there. It’s free, and there’s no need to sign up. 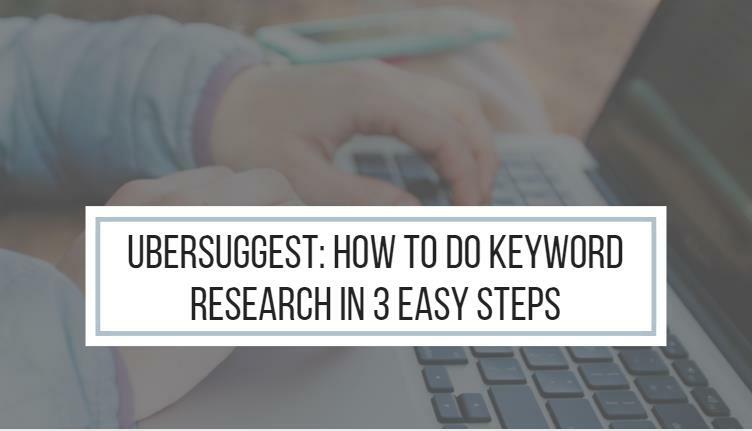 To kick off your keyword research, key in your ‘seed keyword’ or the foundation keyword for of your main product or service without any modifiers in it. For example, if you are selling an affordable weight loss pill targeted for women, do not put ‘weight loss pill for women’, or ‘cheap weight loss pill’. Your seed keyword is ‘weight loss pill’. Click ‘Look Up’ and the tool will generate a list of keywords from Google Keyword Planner and Google Suggest. Many SEOs use Google Suggest to look for possible keywords. It provides an interesting insight into popular searches. Other keyword tools are not integrated with Google Suggest, but UberSuggest is so you don’t have to do extra work outside of the tool. Next, weed out keywords that are not relevant to your business. You can do this by filtering the results. Type a specific keyword phrase and click ‘Go’. Another useful feature is the Negative Keyword filter. If you want to refine your research by removing keywords that includes a specific word or phrase, this filter can do that. You can now export your list to a CSV file or copy the entire list to your clipboard if you prefer an external document tool. If you are a startup business with limited budget for paid ads, do not focus on keywords that are dominated by the big brands in your niche. But, rather choose keywords by analyzing competitiveness. If you go back to the UberSuggest keywords list, you’ll see three metrics for each keyword made available to you – search volume, cost per click (CPC), and competition. Keywords with higher CPC could mean higher conversion. It’s a sign of profitability. Search volume on the other hand is a tricky metric. It should be analyzed side by side with competitiveness. Keywords with higher search volume means higher potential exposure, but they are likely less competitive. It will be harder to rank as you will be going up against bigger brands, publishers, and sites. Selecting keywords based on search volume is largely dependent on your situation and business goals. If you are a startup business, you may want to start by targeting low-volume, low-competition keywords as a way to establish domain authority. However, if you are an established website with strong organic rankings, I recommend going for slightly more competitive keywords to retain your edge. Basically, a long-tail keyword is a more targeted keyword that is longer than two words. If you combine long-tail keywords to you list, you are taking advantage of additional traffic from more targeted users. In fact, 50% of search queries are four words or longer according to statistics. If you’re a local business, do not ignore location based searches. Google “near me” searches have increased by two folds over the past year as reported by Search Engine Watch. Local businesses with a limited service access or those that depend on local traffic might want to consider prioritising local SEO tactics over blogging or creating tons of content based on keywords. Make it a point that your business is listed in appropriate directories with updated business information across all marketing channels. When you have refined your keywords list, the next step is to create valuable content for your website and start promoting whether through organic marketing or paid ads. But, remember that Google prioritises high-quality content so no matter how competitive your keywords are, if you publish crappy content, ranking high will be a tougher climb. According to a report from Backlinko, the average first-page result on Google contains 1,890 words. This figure is a nod to ‘quality over quantity’. This means that longer pages and articles are more valuable, and receives more attention and links. Keyword research is not a one time thing. Your customers’ buying behaviour changes all the time and so does keyword trends. Make it a point to regularly review the competitiveness of your keywords and discover new ones.